“Quality means doing it right when no one is looking”; a principle upheld by manufacturing pioneer, Henry Ford. He recognised that for any successful organisation, its attitude to quality must not be one-dimensional but habitual; particularly from a manufacturer’s perspective. Following the first in the ‘Differentiating Belzona’ series, this post expands upon the theme of quality in the transition from the initial science, through to the delivery of the final Belzona solution. 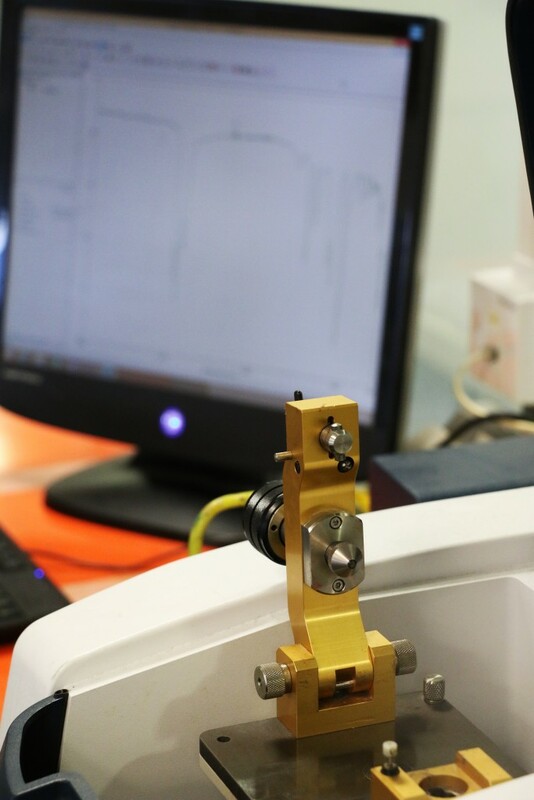 From raw material selection, we trace the journey of every solution, examining the testing procedures undertaken and the production process itself. Interviewing those in the know, we discuss the specific markers which Belzona has established to improve quality and serve as a further differentiator. In the previous post, the importance of chemical composition was explored, as well as Belzona’s proactive stance towards managing hazardous chemicals. Significantly, Belzona adopts a similarly proactive approach to its selection of raw materials. The supply of Belzona’s raw materials can, on occasion, be threatened due to supplier’s withdrawal or feedstock shortages. Therefore, what happens when raw materials are at risk? Terri Gladman explained “Belzona routinely looks at new raw materials used in pour products’ formulation, researching the capabilities of those materials in direct comparison with our current specification. 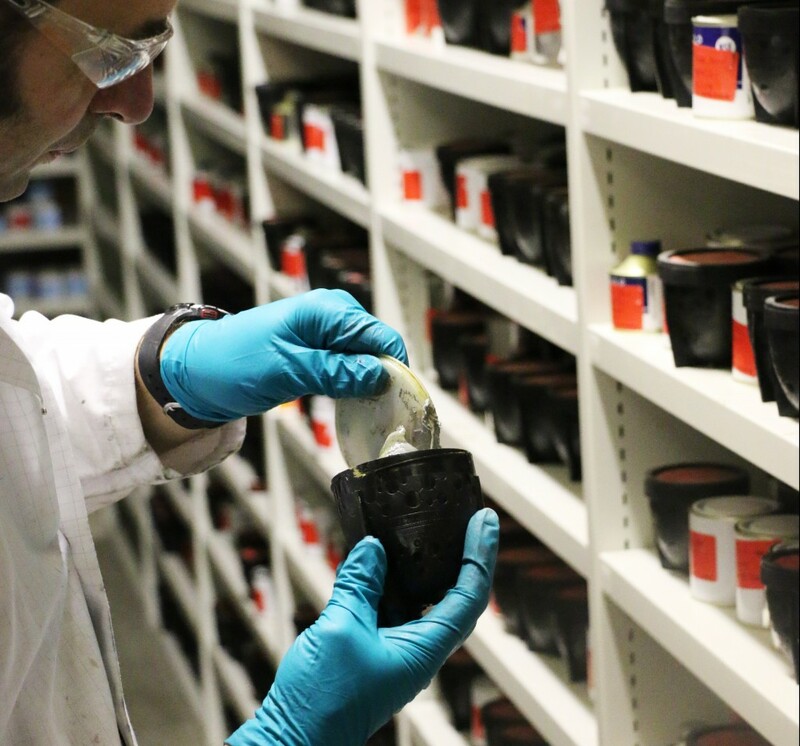 Our experienced team is dedicated to looking at alternative suppliers and keeping an eye on improved raw materials. This allows us to maintain supply and quality should we experience difficulties with any supplier”. 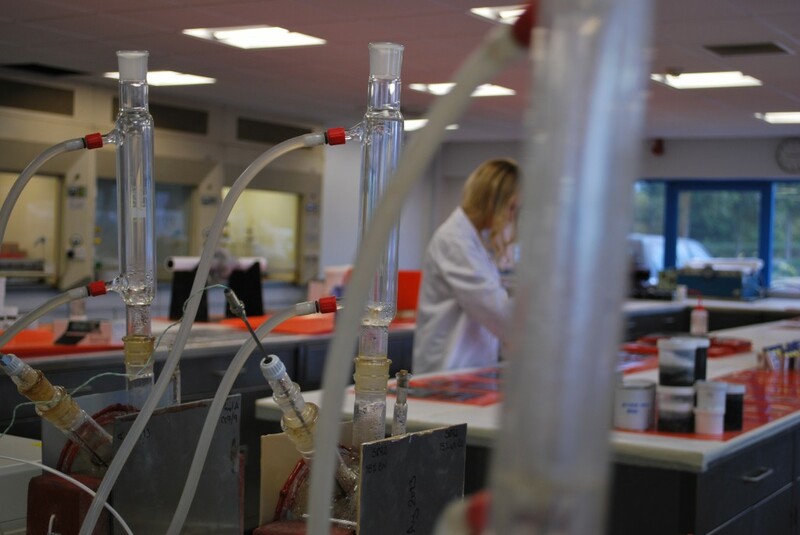 Upon the realisation and formulation of a new solution, proving that it works is an essential part of the R&D phase. At this stage, a wide variety of performance tests will be carried on the product to demonstrate that it can withstand the service conditions associated with the end user application. This information is then made available to customers in the form of Belzona product literature, so that customers can make an educated choice as to the suitability of that solution in protecting their asset. 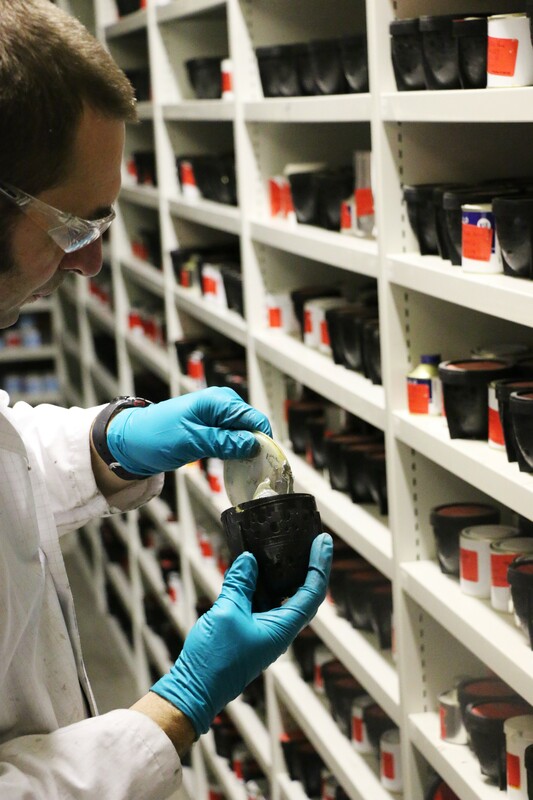 Of course, Belzona’s competitors will follow similar development and testing process, but it is important to recognise that not all suppliers will offer test data created with the same level of expertise, diligence and reliability. Belzona’s 12-month chemical resistance test is proof of this philosophy. For any industrial coating, the ability to resist commonly encountered chemicals is important; therefore, Belzona coatings are assessed via immersion testing in accordance with ISO 2812-1. Mild steel rods are coated in line with Belzona’s application guidelines before being immersed in various chemicals at ambient and elevated temperatures (depending on the application). The observations from this testing, coupled with the length of exposure, are then used to assign a chemical resistance rating. Belzona coatings typically need to survive a 52-week test regime before they will be rated Excellent against that chemical. Contrast this to competitor coatings and their data, in which it is common coatings to be rated Excellent (or equivalent) after tests periods as short as 28 days. Furthermore, as Belzona is a global organisation, it is important to establish that products can perform in a variety of climates, whether those are the freezing temperatures in Scandinavia, dry and scorching heats of the Middle East, or humid surroundings of South East Asia. Testing is therefore carried out to assess properties over a range of climates, facilitated by Belzona’s investment in a Climate Control Chamber. This equipment allows product features such as working life and cure time, to be measured at a range of temperatures and humidity, thereby ensuring that materials are suitable for use in all Belzona’s markets. However, R&D Director, Jevon Pugh added “We recognise that not every test can be completed in-house. For example, some tests are too dangerous for our lab environment or require very specialist equipment. In these scenarios, we will invest in external testing carried out by independent, third-party test houses at external test houses/companies. Importantly, independent test results also serve to enhance and verify our own claims, which may be necessary for some clients or products, a good example being Belzona SuperWrap II. Due to its use in safety critical environments, SuperWrap II required external testing to extreme pressure levels in order to comply with designated ISO and ASME standards”. Without an efficient production process, the quality assurance provided during raw material selection and testing would be irrelevant. Therefore, effective control of this process is crucial to ensuring that customers receive the highest quality products. At Belzona, this is encompassed by the Production Order. This document travels along every step of the production process, specifying everything from the appropriate container, the raw materials in the batch, the equipment used to make the batch and the QC specification for the finished product. As a vital part of quality assurance protocols, Belzona keeps a set of samples of every batch it manufactures for up to five years. Helen Parris stated “As a safeguard for Belzona and our customers, storage sample are retained and regularly inspected throughout their storage life. This allows us to check product batches many years after they have been manufactured, one of the reasons why Belzona products have such long shelf-lives versus our competitors”. The next and final post in the series, will take a closer look at what differentiates Belzona once the solution has been made available, encompassing the global provision of support out in the field.